AMSTERDAM.- To celebrate the 90-year jubilee of the Society of Friends of Asian Art (abbr. VVAK), the Museum Geelvinck Hinlopen Huis in Amsterdam hosts a series of exhibitions Asia, from the heart, with art objects from the private collections of members of the VVAK. This first exhibition covers the art from China, Mongolia and the Himalayan regions, from Neolithic pottery and prehistoric jades up to a vase with Maos portrait. The visitor will be struck by the expressivity of the animal figures of the Mongolian-Siberian Ordos culture, the beauty of age-long fine porcelain artisanship and the serenity of gilded bronzes from Tibet. Several rare Chinese carpets adorn the walls of the exhibition space. The fruitful interrelationship between these cultures is more than apparent. The exhibition series Asia, from the Heart, offers the public a view into private collections of Asian art, which foremost are kept hidden from the public's eye, cherished in the homely atmosphere, enjoyed by the collector and admired by friends, occasionally. Members of the VVAK in its 90 years of existence assembled todays famous Asian collection at the Rijksmuseum, which in fact is still legally owned by the VVAK. Not only over the years this honourable Society was able to enrich its collection at the Rijksmuseum with true top specimen of Asian art, but also its member-collectors prove to have the eye of the connaisseur for Asian art of the highest quality. Asia from the Heart runs parallel with 'A Devine Gift , the Jubilee-exhibition of Asian art from the Society's own collection, which is in permanent custody of the Rijksmuseum and now (due to the restoration-closure of the Rijksmuseum) presented in the Museum Het Princessehof in Leeuwarden, from November 3rd 2008. 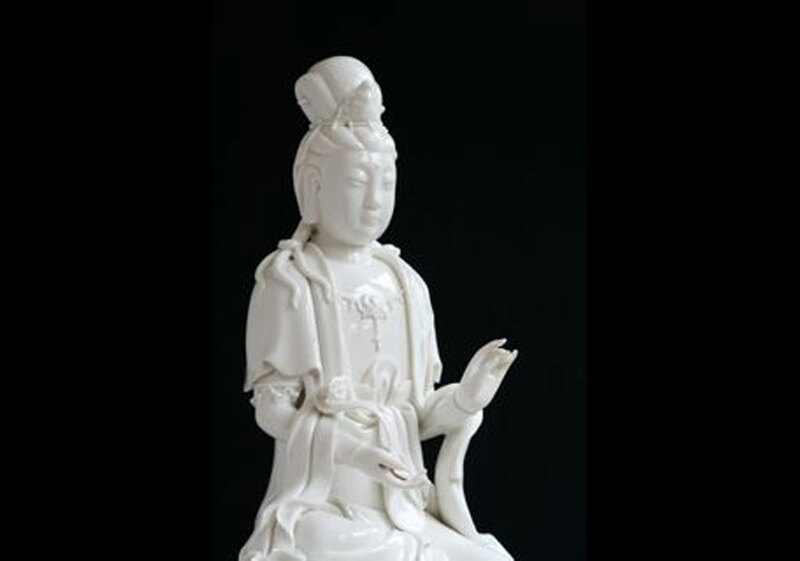 During the series of exhibitions Asia, from the Heart, lectures, presentations and music performances will take place in the Museum Geelvinck Hinlopen Huis. The future themes will concern art from Japan, India and Indonesia. SFMOMA Presents First Solo Museum Exhibition of Work by the German Architecture Studio J. MAYER H.